MOSCOW (Sputnik) - The Colombian government is not going to provide the United States will military bases so that the latter could launch a possible military invasion in Venezuela, the Colombian Defense Ministry told Sputnik. The Colombian Defence Ministry also said that Colombia is not preparing a military intervention in neighbouring Venezuela. According to the press service, the vessels and aircraft were also not redeployed, while the high alert in the Armed Forces and police is linked to the recent deadly terror attack on a police academy in Bogota. "Colombia is not staging provocations and will not allow anyone to provoke it, as Defence Minister [Guillermo] Botero has said, and we are conducting such policy toward Venezuela," the ministry added. 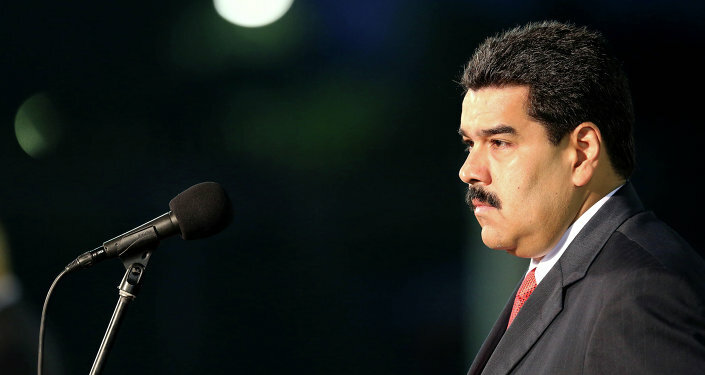 On Tuesday, the opposition-run Venezuelan National Assembly adopted a statement declaring President Nicolas Maduro a "dictator." On Wednesday, opposition leader Juan Guaido proclaimed himself the country's interim president at a mass rally in Caracas. The United States, Argentina, Brazil, Canada, Chile and Colombia, among others, have recognized Guaido as Venezuela's interim president, while some other countries, including Russia and Mexico, expressed support for incumbent President Maduro. On Thursday, Russian Deputy Foreign Minister Sergey Ryabkov called on foreign states to refrain from any kind of military invasion in Venezuela.